Service King is using 3-D printing to generate replacement tabs and repair small gouges to bumper fascias in what it says begun as a experiment but has since expanded to the Phoenix, Dallas and Seattle markets. Chief Information Officer Derek Kramer said during an interview Wednesday that the company was in the “ramp-up phase” of what it calls “adaptive plastic repair.” It saw the technique as a way to address the repair concerns of insurers and to fix more items on a vehicle in a manner “pretty novel for the industry,” he said. Service King senior director of field technology Dustin Harrier first proposed trying to use 3-D printing — which just a few years ago would have been “cost-prohibitive” — to attempt to repair bumpers which would have been replace-only, according to Kramer. Often, “small fragments” of a bumper cover or other plastic component were torn or ruined in a collision, Kramer said. When an OEM tab tears away, “they cannot be reattached,” he said. If 1 percent of a bumper is compromised, the entire part became useless and fodder for a Service King scrap heap. “We thought there had to be a better way,” Kramer said. Though bumper tabs are “getting thinner and thinner” because of lightweighting — 2-3 mm or so, Kramer estimated — Service King was able to successfully print and attach a replacement. “To everyone’s shock, it was very easy,” he said. The vehicle went home the same day — but with its own parts. Nothing was repurchased or even repainted. “The quality of the repair was strong,” Kramer said. Service King began to build up a stock of tabs, and while “sometimes it didn’t work,” technicians kept giving feedback and helping the company refine the process. Eventually, Service King built up a library of unique pieces, which Kramer said improved its ability to repair parts by “several percentage points.” The company foresees a day where a technician could just select a part on a file-sharing system, print it remotely, and have it drop-shipped to the store. “It was eye opening” for technicians, managers, insurers and customers, Kramer said. Kramer agreed that from a cycle time perspective, it was probably a toss-up between 3-D printing and getting a part from a local dealership. However, if the dealership didn’t have the part — “many times, they won’t” — or the nearest part was in a different market, it could take at least a day to obtain and install the part, according to Kramer. With the 3-D printing options available at Service King, the work could be done in an afternoon, he said. 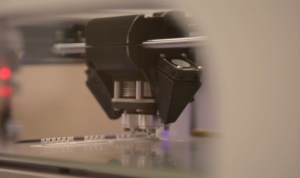 3-D printers can fabricate parts using different types of plastics. This capability allows Service King to match the substrate used in the fascia — such as thermoplastic or polypropylene — checking bumper labeling to learn just what material that is. “We can spool the same exact native material the cover itself is made from,” Kramer said. Kramer said two types of additive manufacturing scenarios typically occur at Service King. In one, the company prints out a series of tabs with the same thickness and shape as OEM bumper tabs and fills “tackle boxes” with them for a technician’s quick access. The tabs are larger then their real-life counterparts, which means a plastic technician can shape one to match the damaged piece, according to Kramer. The other involves a patented, Service King-developed manual extruder that can print out small patches of plastic filament for certain bumper repairs. Service King takes care not to infringe on any OEM patents in creating these parts, Kramer said, and in fact, it’s filed for a few of its own. 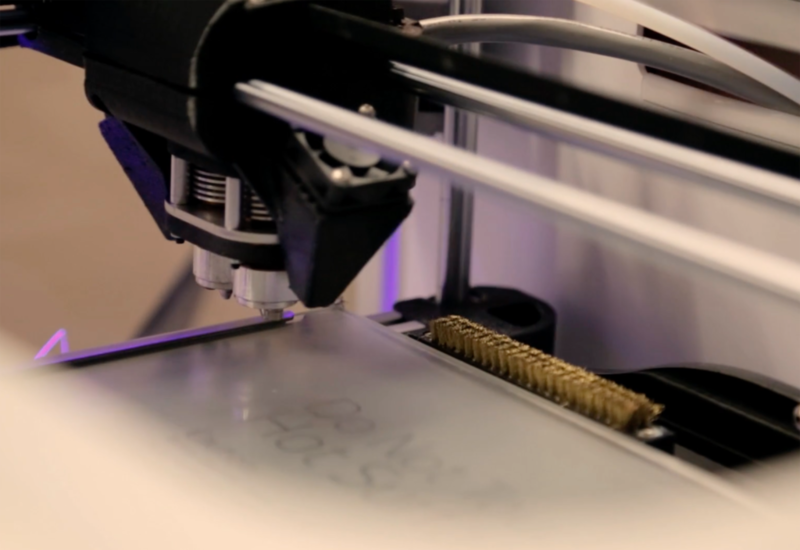 The extruder hardware was the company’s first ever, according to Kramer, and it’s been followed by a patent on the software for its 3-D printing process and design patents on the shapes for the oversized plastic spare tabs. The parts can be attached by the method of choice for the plastic technician, be that staples, epoxy urethane, or nitrogen plastic welding. Kramer said technicians perform a strength test on the repaired area. Often, the segment is symmetrical to something else on the vehicle, and so a technician can apply equal force to the identical repaired and unrepaired sides to vet the quality of the work. “If we have to, it’s a new bumper,” he said. Kramer said the printed areas can be prepped and painted the same way as existing automotive plastic, though often pieces like the 3-D-printed tabs are on out-of-sight portions of the vehicle. “You’re printing something that large, the part is most likely compromised,” he continued. The company doesn’t yet have an OEM blessing or precise OEM measurements for every point on the fascia. Kramer said the company has tried reaching out to automakers and third-parties and is conducting “a multitude” of conversations about obtaining such dimensions. For now, it’s just measuring the area in question itself. One method of doing so lends itself well to custom shapes not found in the tackle boxes: A technician photographs top and side views of the original piece with graph paper in the shot for scale. Computer software then converts these 2-D photos of the part and graph paper into 3-D models of the replacement piece through a process known as photogrammetry. While 3-D printing has dropped in price, you’re not going to see a 3-D printer in the back of every Service King, Kramer said. It’d likely continue to occur at a central hub within a given Service King market. However, he noted that while the company was still exploring its options, future expansions across the chain might not even require Service King to buy additional printers. 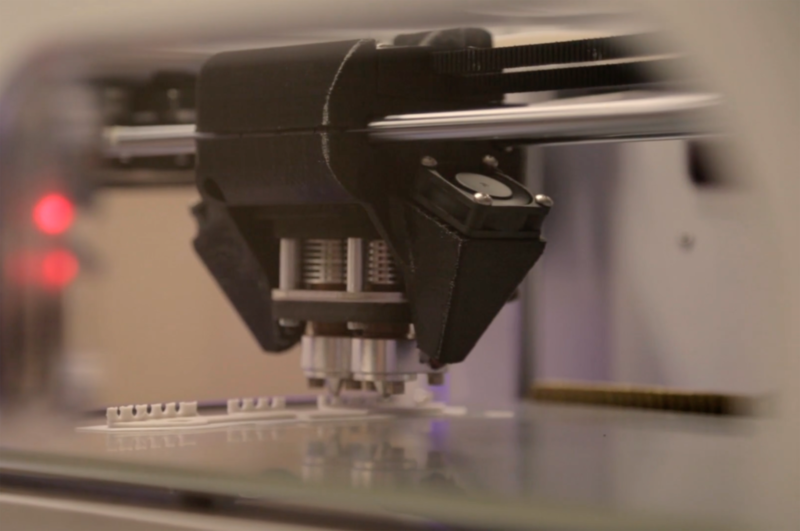 The MSO could outsource the printing to a third party in the target market; Kramer gave the example of UPS, which has the ability both to 3-D print objects and ship them quickly to a business in a local area. “There’s a lot of companies getting into this business,” he said. Correction: An earlier version of this story listed an incorrect title for Service King Chief Information Officer Derek Kramer. The article has since been updated accordingly.